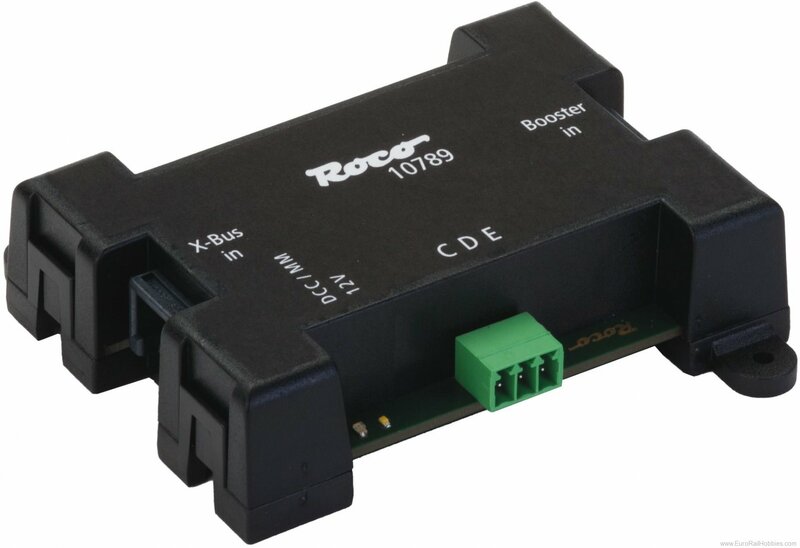 The Booster Adapter is used to be able to connect up to 15 boosters with CDE interfaces to the booster bus. An X-bus port is provided to supply voltage to the adapter. Status LEDs display the 12-V supply as well as an active CDE end stage; besides, the adapter has an overcurrent or short-circuit protector at the CDE output. If the power of our booster is not sufficient (e.g. major railway companies, 0–IIm track), you can connect a strong CDE booster (e.g. Massod, Lenz, Tams) using the CDE adapter to the booster bus of our central units or amplifiers.